An elaborate and finely tuned design featuring up to four video decoders working in tandem enables Matrox Morphis to rapidly switch between multiple video sources for sequential capture. The design also allows for the simultaneous capture from up to four independent standard video sources. A large dedicated buffer guarantees reliable image capture to the on-board compression accelerator or the host PC, including display. Moreover, video images can be formatted in real-time during capture. Formatting features include cropping (ROI), horizontal and/or vertical flipping and subsampling. 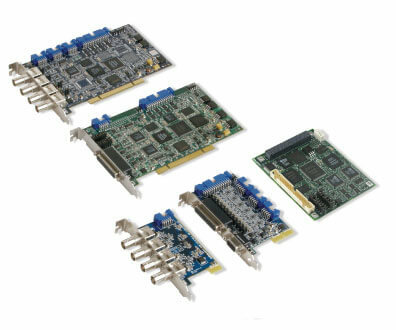 Matrox Morphis integrates a hardware accelerator for JPEG2000 image compression and decompression. JPEG2000 is an industry standard from the Joint Photographic Experts Group for wavelet-based compression and decompression. This new standard was developed to provide a superior compression ratio without compromising quality, or superior quality at a given compression ratio when compared to conventional JPEG. An intricate algorithm makes JPEG2000 computationally intensive, so hardware acceleration is required for real-time performance at typical video rates. For video surveillance applications, the JPEG2000 hardware accelerator can handle up to two standard video streams, whether monochrome or color, in lossy or lossless mode. It can also handle high resolution monochrome formats with high dynamic range found in medical imaging applications.